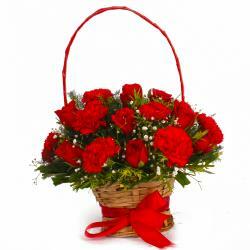 Product Consist : Basket Arrangement of 50 Colorful Roses with white and green fillers. 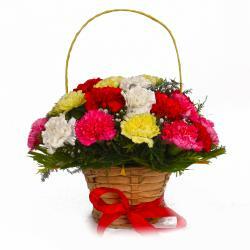 You will find this floral basket really enticing to say the least ! 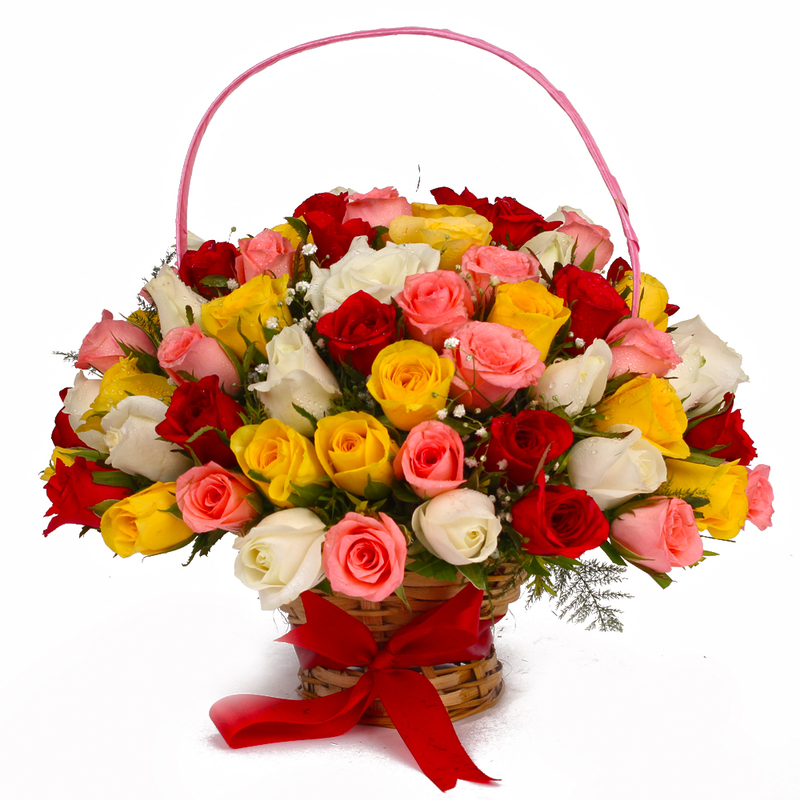 This contains fifty colorful roses that are neatly showcased as part of a basket arrangement. 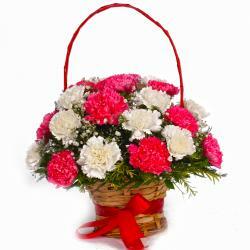 This combo will be a wonderful choice when it comes to Birthday, Anniversary, Best of Luck, Durga Puja, Womens Day alike. This should be on top of your wish list. 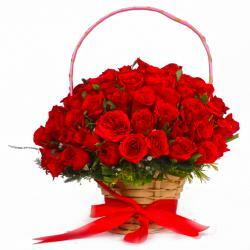 Product contains : Basket of 50 Colorful Roses with white and green fillers.